Pros: I have had this card for almost one year and it is great. No problems at all with Windows 8. Very reliable. Other Thoughts: Pair it with a AMD Regor CPU to act as a HTPC. It connects without problems to my TV via VGA. The integrated graphics card can smoothly play a DVD and HULU at the same time. We sincerely apologize for any inconvenience this may have caused you. AsRock mainboards are fully tested to assure that they're working before shipped. Unfortunately, due to nature of electronic product, it can happen. 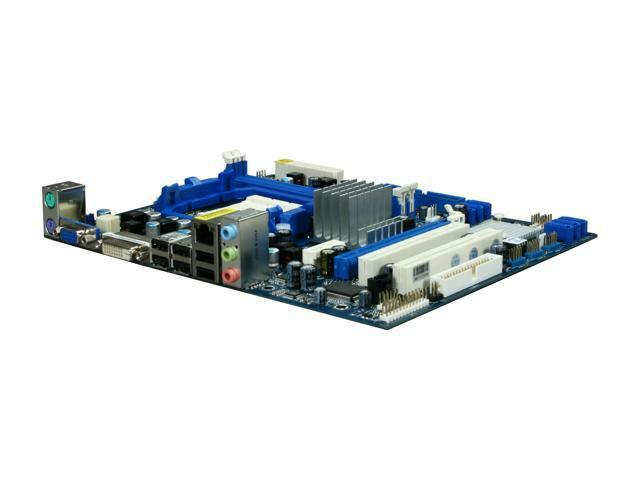 Please trouble shooting the mainboard for below steps with known good components; remove the mainboard from inside computer to outside. You can place the mainboard on empty mainboard box, reseat the processor to the CPU socket with heatsink fan as well, inserts 1 memory module only in A1 slot, Onboard Video, clear CMOS, load BIOS default, power supply with connecting 24 pins + 8 pins to the mainboard, and try again. If still having same issues please contact our Tech Support at 909-590-8308. We can assist you shortly. Comments: I installed the cpu and everything went cool....installed the os and everything was recognized.....overall a good little mainboard. Comments: Checked my memory with mem-test, tried removing or replacing graphics card, reinstalling different version of windows multiple times, and set my processor back to default setting(no core unlock or overclock). None of these fixed freezing and BSOD issue. Currently contacting ASRock for help or possibly RMA procedure. It was working fine first few months, I'm not sure if I did something to damage the board. Comments: I was getting BSODs and it would not display vidio so I went to check the ram and graphics card. went to swap the Graphics card and touched the northbridge and burned my finger. I knew right then what the problem was. some of the other reviews mentioned similar problems. I called Asrock took a bit to get them since the time I had to call for a while they were closed but after I got them the service rep walked me right through the RMA process and it was quite painless. Had a diffent board in 2-3 weeks. and the replacement board has not give me any problems at all so far. it is working like the 1st one should have worked. Come on Asrock get on that Quality Control. lucky for me my other parts were covered as well so I got them RMAed as well. But it did cost me ~half what I paid for the orginal board for all the RMA shipping cost, not to mention the down time, and It made me look like a fool to my customer. I replaced the Customers machine with a more reliable brand. Comments: Just because it's a small board, doesn't mean it can't KRUNCH some numbers! Not a $199 board, but it kicks ASrock for the ($60-ish) money!!!! We sincerely apologize for that you've issue with both mainboards. Would you please tell us more detail about issue that we can assist you? Please contact us at "http://www.asrock.com/support/tsd.asp". We’ll assist you shortly. We are sorry to hear you are having issues with memory. Would you please tell us more detail about your RAM that doesn't recognize? This mainboard support memory up to 8GB which is 4GB each slot and memory speed DDR3 1800/1600/1333/1066/800. If you have any technical questions please contact us with your complete contact information directly at http://www.asrock.com/support/tsd.asp . We can assist you shortly.